Greenleaf firefighters were dispatched to Big Valley Rd. for the report of a shed on fire. Arriving crews found a large shed well involved in fire and upgraded initially to the Working Still level and eventually to the Box Alarm level for tenders. Brutal cold temperatures hampered firefighting efforts. 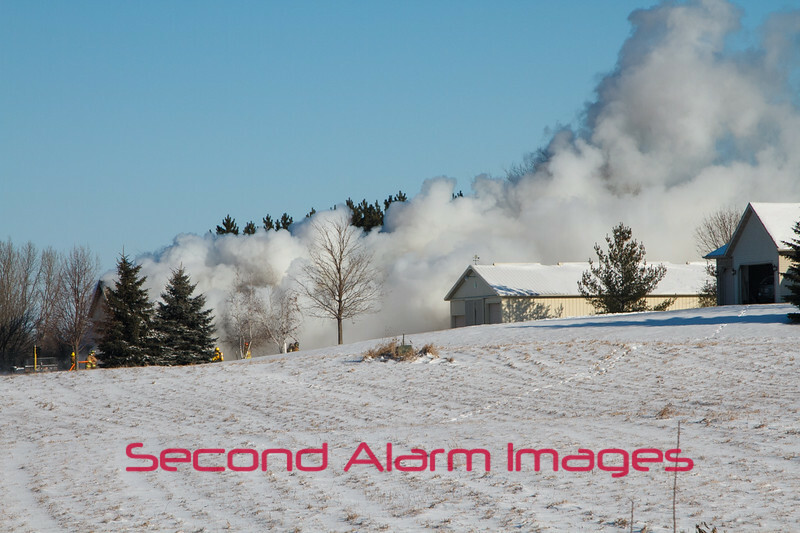 The air temperature at the time of the fire was -9 degrees F.
Departments On Scene: Greenleaf, Wayside, Morrison, Ledgeview, Hollandtown, and Wrightstown.